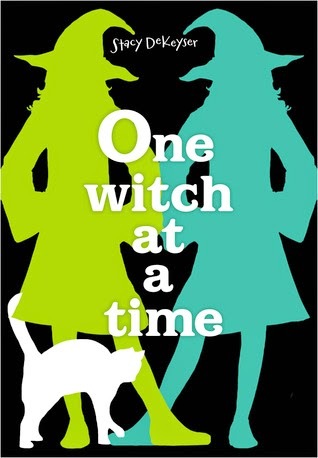 One Witch at a Time is a companion novel to Stacy DeKeyser's The Brixen Witch, but it can easily read as a standalone (I haven't read TBW and I didn't feel like I was missing anything). I'm going to start off this review with my only real gripe: The cover needs to be changed. Main character Rudi is a boy and One Witch at a Time can easily appeal to boys just as much as girls. But that cover? Total girl cover. Boys are unlikely to pick up this book, and that's a shame. The cover is also super misleading—think it's about two girl witches? Think again! The story has nothing to do with that. It is also written in a classic, timeless tone, which also contrasts with the spunky modern cover. One Witch at a Time reads like a classic '90s era middle grade book. Think books like The Cay, My Side of the Mountain, Island of the Blue Dolphins, and The True Confessions of Charlotte Doyle. Staples of English classroom shelves. Books with solid stories and staying power. Books with awards on their covers. The story itself is a loose twist on the Jack and the Beanstalk tale but with a ton of original elements and characters thrown into the mix. Male and female characters are given equal weight and the camaraderie among them was pleasant to read. Rudi is a good boy with good morals and multiple positive relationships. The story moves at a nice, steady pace—never rushing, but never slow either. The resolution takes the same steady pace, wrapping up without much fuss but still managing not to feel anticlimactic. I figured out the end very early on, but I don't think this would be a problem for the target audience (younger middle grade). A solid choice for school libraries and middle grade readers. Remove the awful, misleading dust jacket and be sure to share this one with boys as well as girls. Recommended.